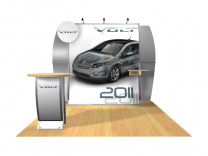 Custom Modular Hybrid Displays describes a type of trade show exhibits that have been constructed from a variety of materials such as fabric, metal, acrylics, laminates, and wood. 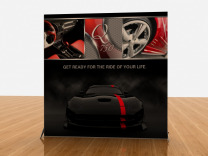 These custom modular hybrid displays are created in all varieties of shapes and sizes, and the free flow of creativity in designing them is what makes them truly unique and in such demand in the market today. Tops the List of Best Selling Displays! The Perfect 10 is...Rather Perfect! Go Green and look good doing it! The display no one forgets! We're particularly proud of the selection of display systems that we represent on ShopForExhibits because of their originality, quality, and variety of options from the Magellan to the Visions, Segue, Perfect 10, Eco Smart and finally the Sacagawea. 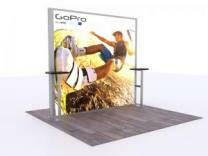 ShopForExhibits.com carries perhaps the largest catalogue of custom modular hybrid displays in the courtry. We not only carry the lineup of modulars from Classic Exhibits, but have availablity to most evey display manufacturer and supplier in the courntry. So before you shop elsewhere, take a look at the outstanding products and values we bring to you, and give us a call. 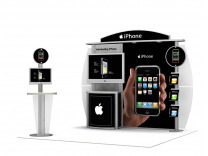 Adapting to changing market conditions is what every great trade show exhibit supplier is required to do, and Classic Exhibits, to the elation of their trade show display distributor network, has shown their ability to accomplish just that. When other suppliers were content to stick with a group of tried and true existing products, why did Classic venture out and risk valuable time and capital to create new products? They happen to notice that certain aluminum shapes that they were already purchasing at that time, had a significantly lower cost per linear foot in comparison to others, and determined that those shapes should be considered for future product development. 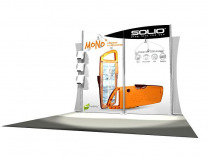 As Classic proceeded ahead based on good intuition and a little careful planning, they were able to introduce a whole group of successful display products that have as a group injected new life into the custom modular hybrid displays segment of the trade show display industry. 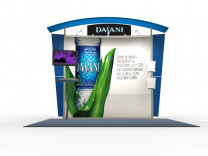 You may have been aware of some of the excellent new lines that Classic Exhibits developed recently, starting with the Perfect 10 and Magellan Miracle tension fabric display systems, followed up with the Sacagawea custom modular hybrid display system. As a result of all the great new exhibit offerings that Classic has to offer, it’s no surprise that Classic maintains a leadership position in the market with their group of distributors, and appears not to be letting up one bit as they charge into the future! 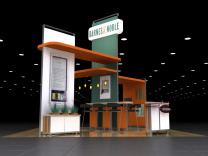 ShopForExhibits, a long time distributor of trade show booths, continues to broaden its' web site product lines with improved product offerings such as trade show flooring, and the exciting new exhibits in the modular hybrid displays line. By launching a new state of the art web site, ShopForExhibits hopes to keep pace with future growth challenges by delivering to new prospects the knowledge and product information needed to build confidence in an aggressive web retailing strategy. 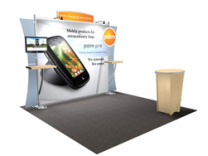 As a result of the current economic climate, that is anything but predictable, online retailers have to be flexible in what they offer exhibitors as well has being aware of the declining price point that companies are willing to pay for trade show related products. 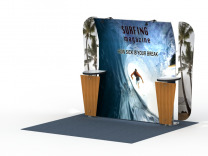 Many people in the trade show business will struggle in the coming months to successfully market new offerings such as modular hybrid displays, but because of their years of experience in the exhibit industry, coupled with their competitive web site skills, SFE looks to have what it takes to lead the pack.